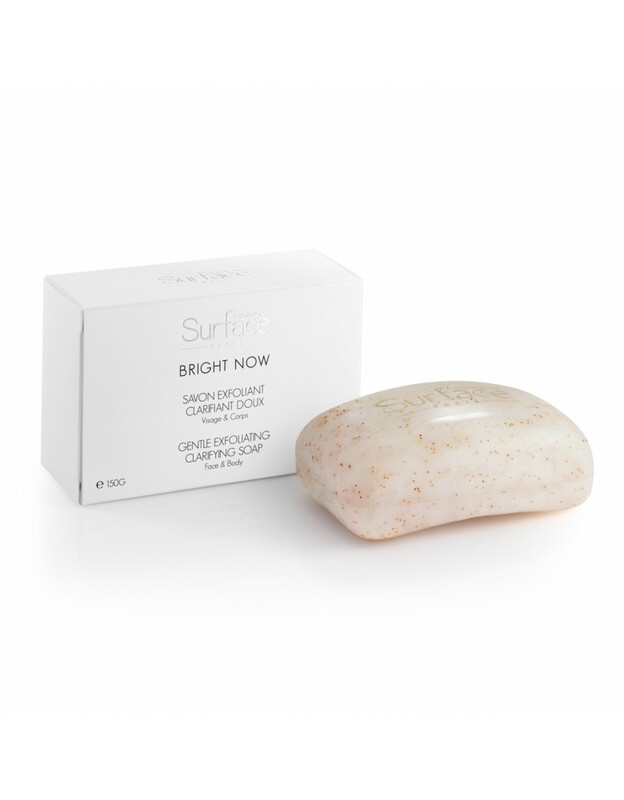 The Bright Now Gentle Exfoliating Clarifying Soap brightens the skin’s complexion while gently removing dead cells. Enriched with apricot kernels, known for their exfoliating properties; this soap gently cleanses the skin, removes dead skin cells, and restores the radiance of the face and body. Skin is cleansed, moisturized and regains its brightness. The Gentle Exfoliating Clarifying Soap effectively promotes the reduction of the appearance of dark spots. Used on the face and body, this cleanser prepares the skin for following treatments. It is an essential step to refine the skin's texture and reveal its beauty. Enriched in apricot kernel extract, this soap gently exfoliates the face and body while nourishing the skin with essential nutrients. The soap cleanses the skin without overdrying it and leaves skin feeling hydrated, never tight or dry. By eliminating the over build-up of dead skin cells, dark spots progressively fade away; and the skin will become gently brightened. 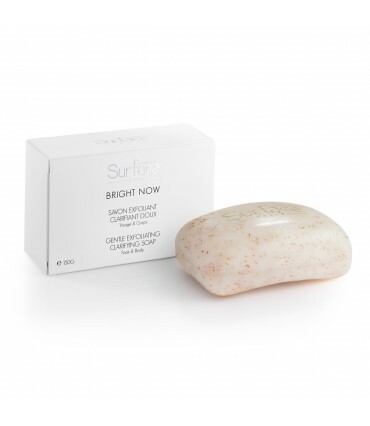 This soap is an ideal cleanser before using other Laboratoires Surface-Paris products, such as Bright Now Advanced Tone Correcting Serum and at-home mesotherapy treatments MESO-GLOW and MESO-BRIGHT.